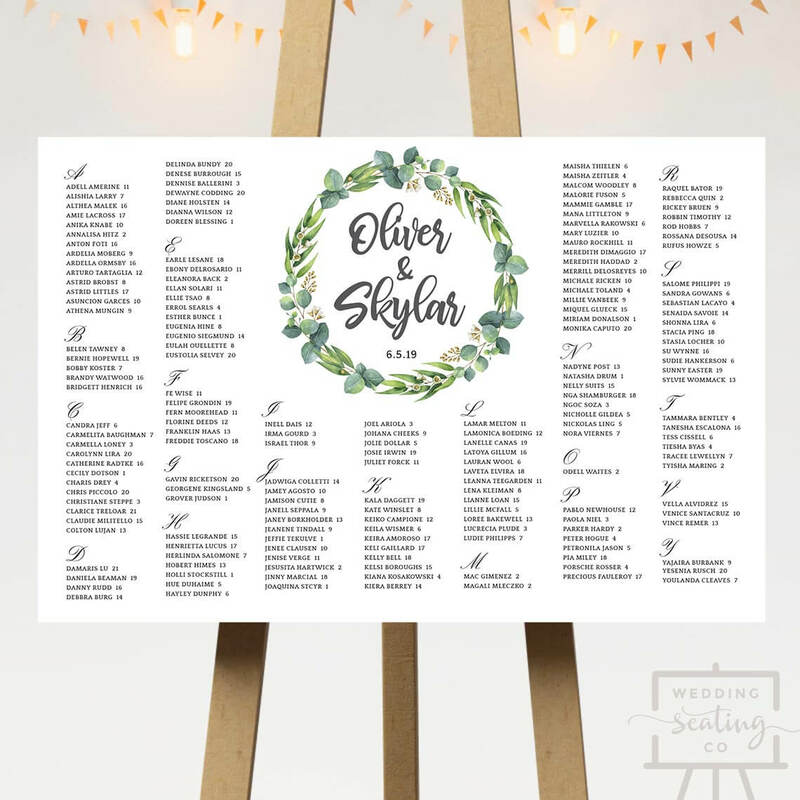 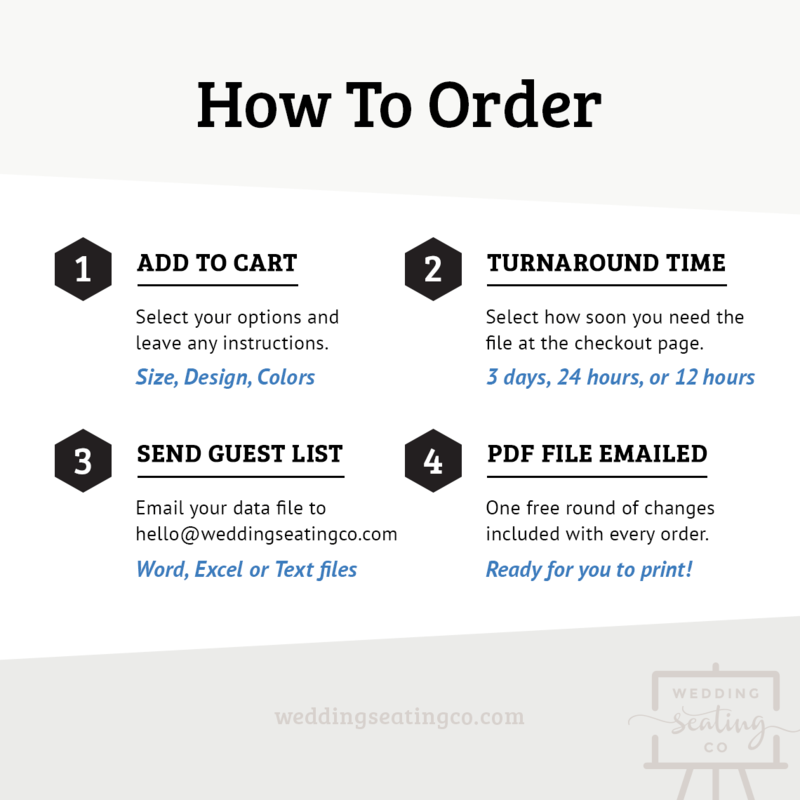 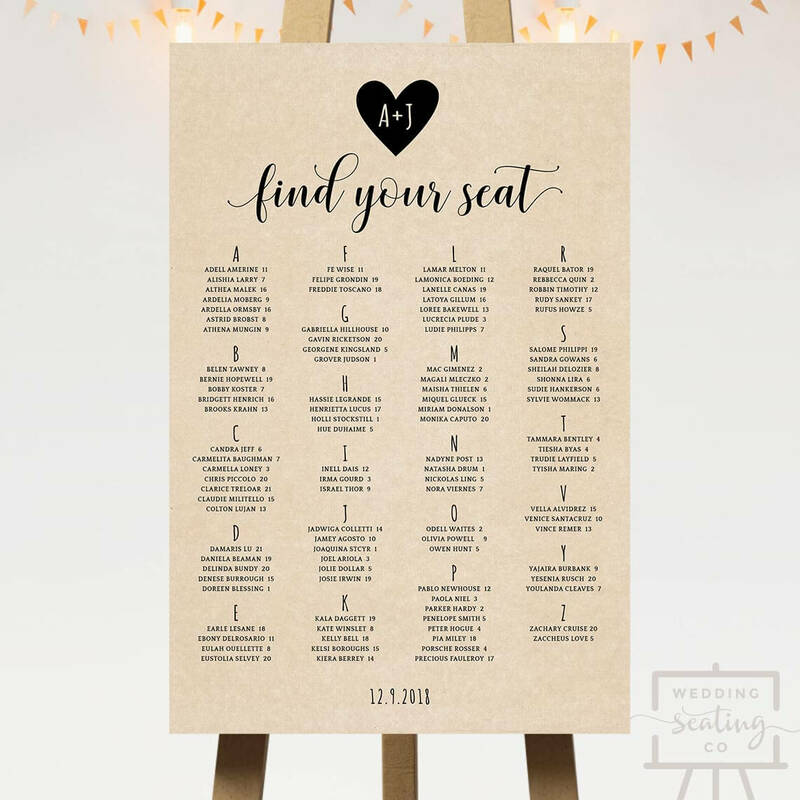 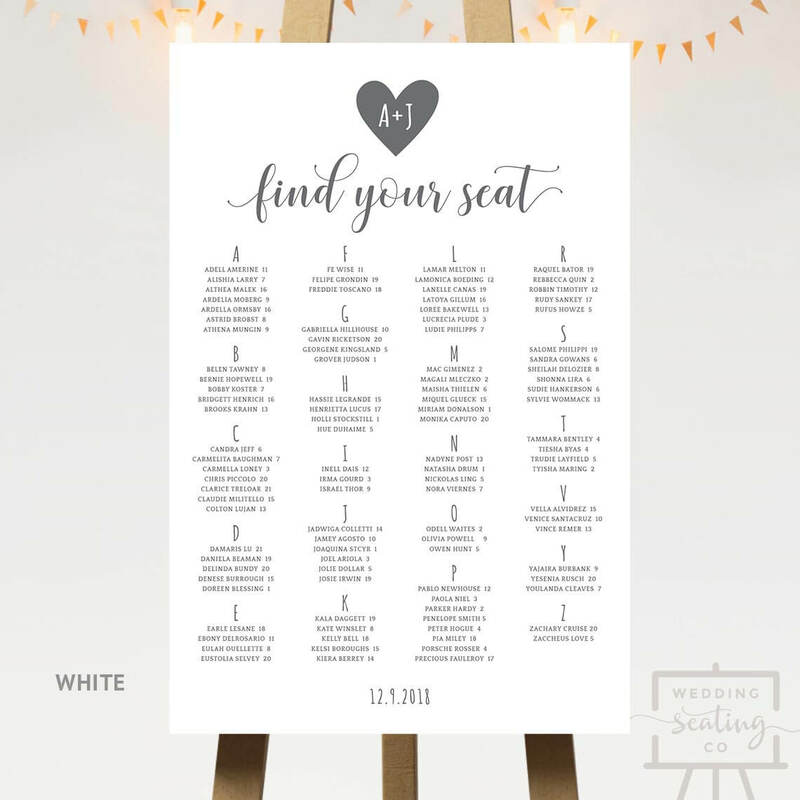 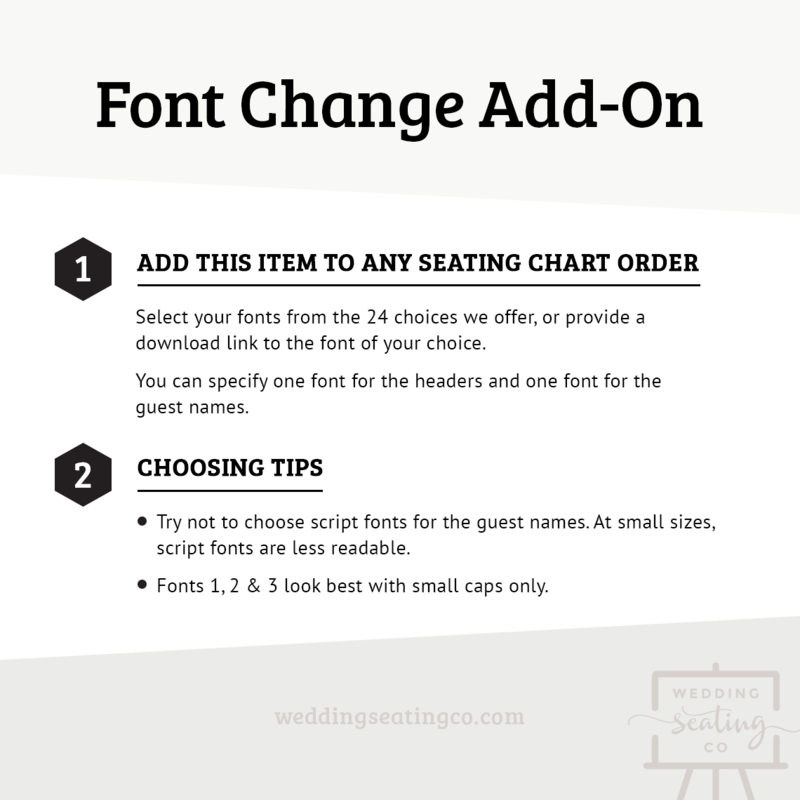 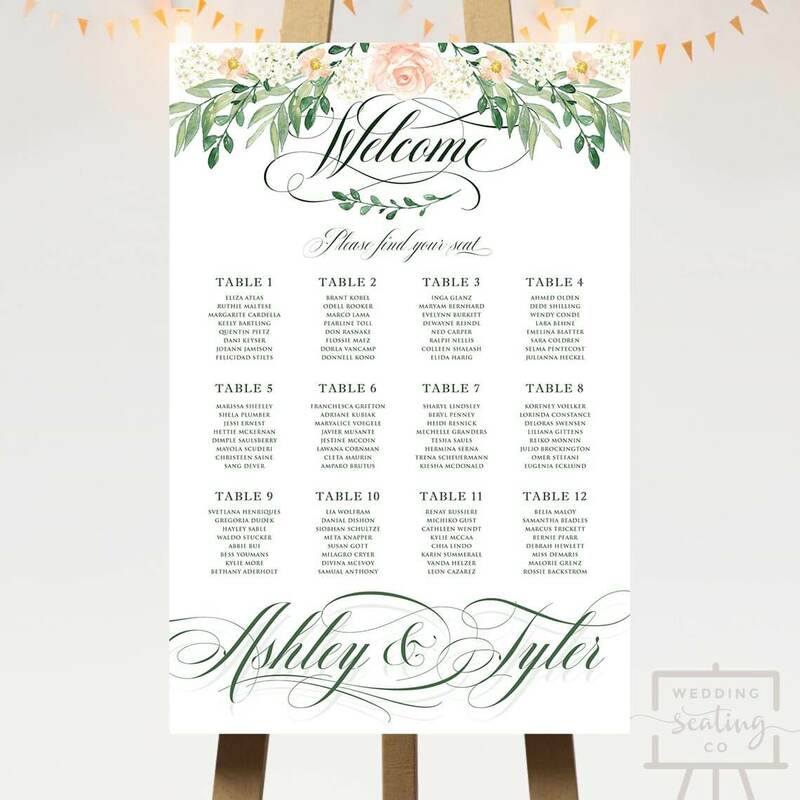 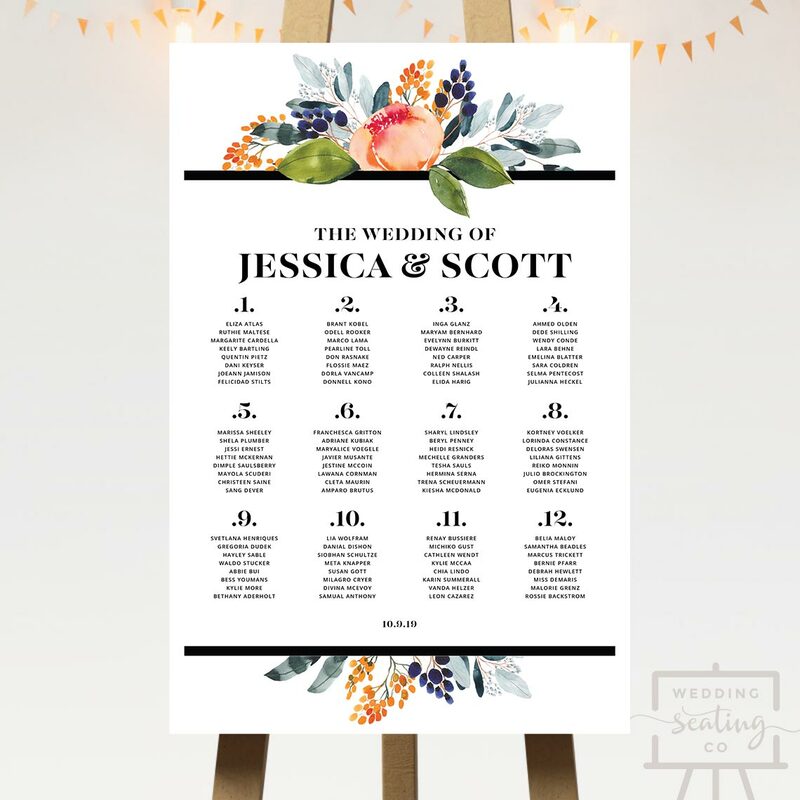 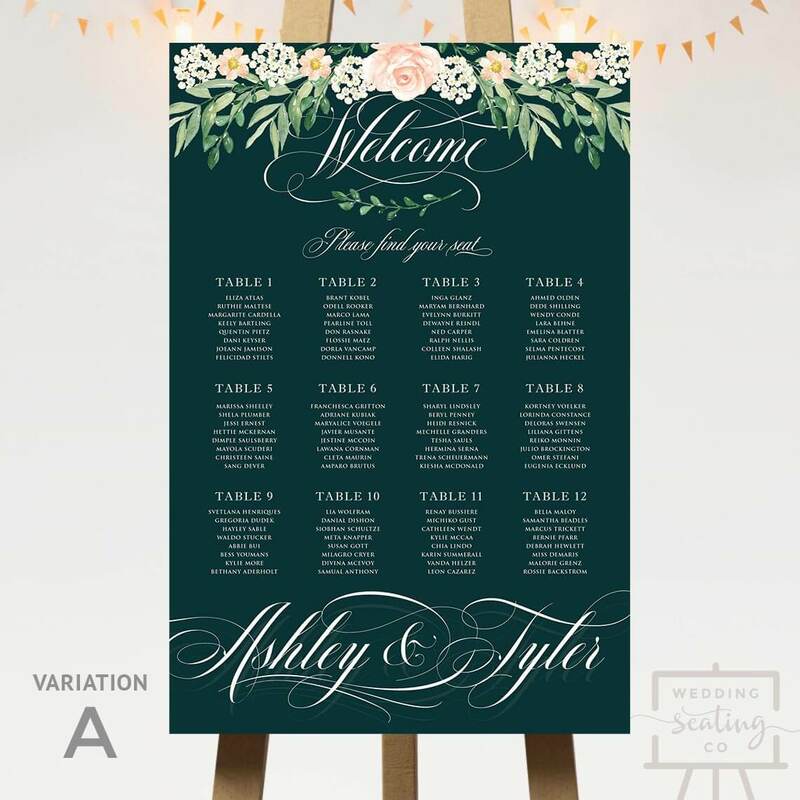 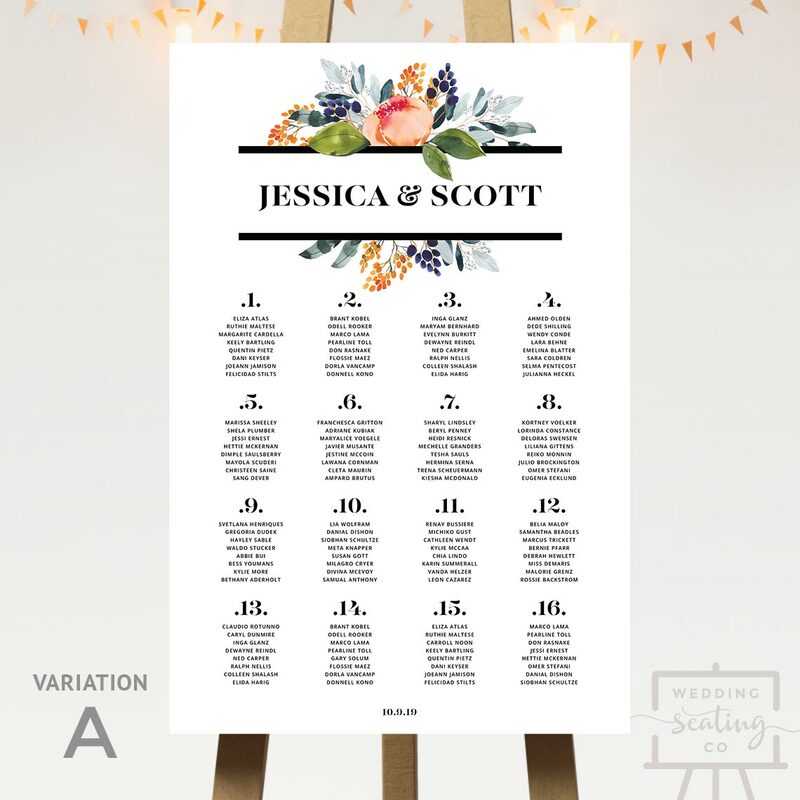 Welcome your guests to your reception with this printable seating chart featuring a green wreath of leaves. 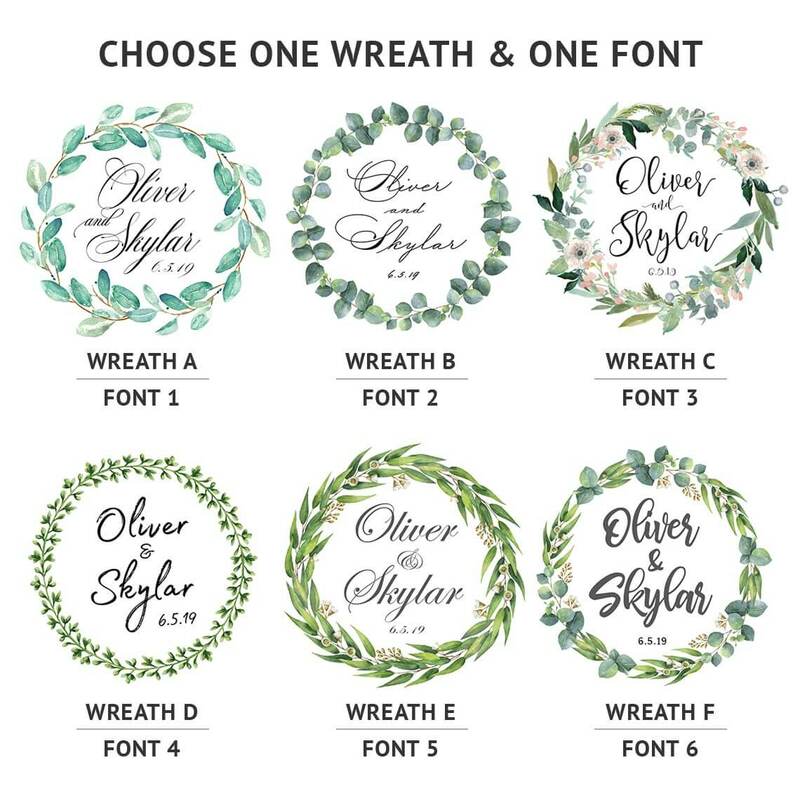 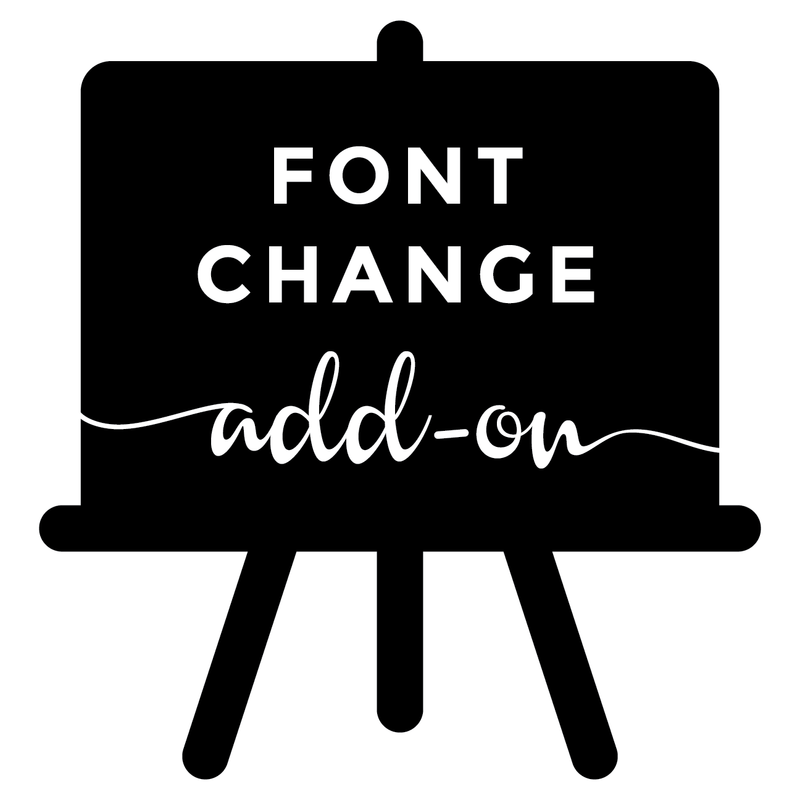 There are 6 wreaths for you to choose from, and 6 font styles available. 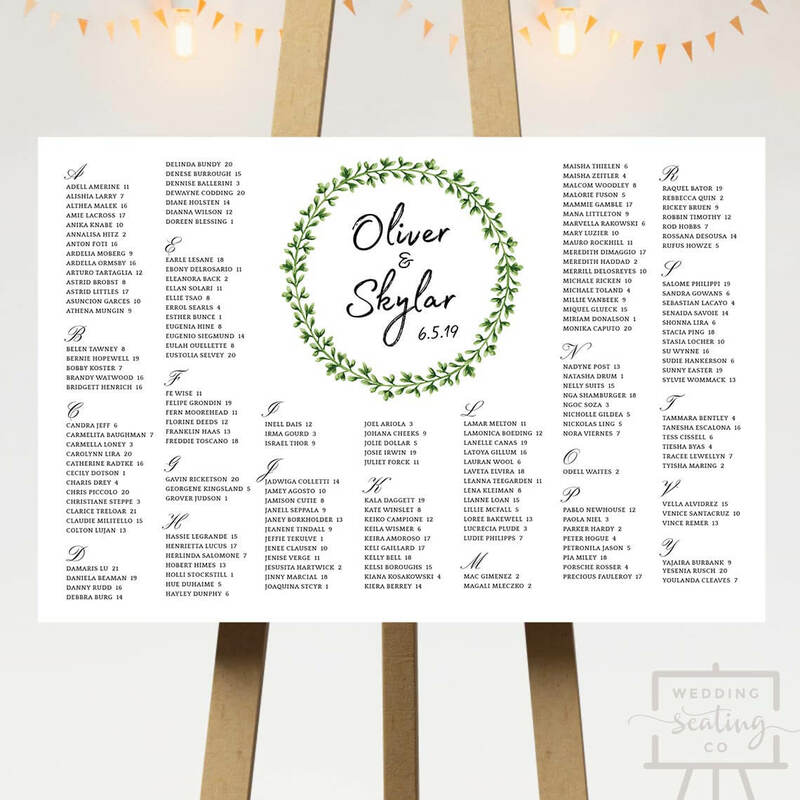 You can also have your names arranged by table names or numbers instead of alphabetically as shown in the sample.